Worried that you won’t find vegetarian options on your trip to Greece? Look no further! On a carefully designed vegetarian tour, glory in all the gorgeous scents and tastes of Athens’ meat-free gastronomy and learn about how vegetarian friendly Greek cuisine truly is. Meet with the vegetarian wealth of Greek gastronomy with our private vegetarian food tour in Athens! Wander around the city center and let your enthusiastic food guide introduce you to the veggie scene of Greece! See where local veggies enjoy meat-free meals and get a toehold in local produce that mark the vegetarian nature of Greek culinary background. We thank you for offering a tour that explores Greek history and food! We have not seen this option in our travels and we think you are leading the way with this. During the tour Elena kept notes of our questions and promised to send a follow up email with specific recommendations, which she did immediately giving us further information. Our multi-generational group of 6 (4 adults, 2 kids) had an amazing experience on the Vegetarian Food Tour of Athens in March. 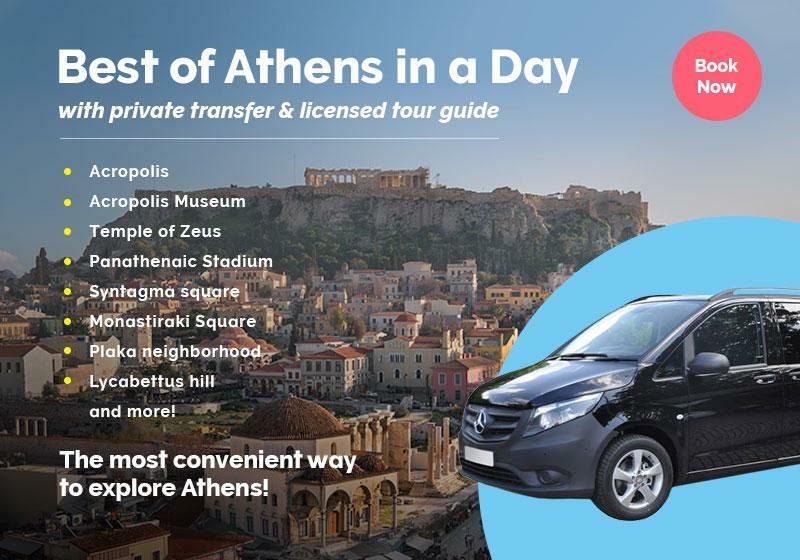 Prior to the visit, the team at Greeking.me was extremely professional and responsive, adapting the itinerary to our needs. Additionally, the guide, Elena was amazing. Would definitely recommend this group!! Did you know that ancient Greeks and early Christians were vegetarians? Indeed, the whole basis of traditional Greek cuisine is based on food ingredients from plants and dairy products. Find out everything about the unique produce of the Greek land - such as mastiha and saffron – and how they are used in Greek cuisine. Get a taste of colorful Greek salads and delicious pies with intriguing stuffing: a chorus of traditional cheese, olives, tomato, red peppers and olive oil flavors straight in your mouth! You will also get to know about the Greek olive oil, one of the treasures of our land! Devour our famous “ladera”, traditional dishes prepared with onion and fresh vegetables – such as peas or artichokes – both cooked in olive oil; such meals are the very footing of Mediterranean diet with frequent presence on our tables. As your foodie guide introduces you to the Greek vegetarian culture, you will also surprise your palate with fascinating veggie croquettes and wraps full of Greek aromas! Your tongue will also dance with traditional desserts, such as yogurt with honey or even the famous “spoon sweets” - fruit preserves – paired with liqueur and Greek coffee! We guarantee you will feel stuffed to the gills! A parade of flavors for vegetarians only! The tour is available in English. A pick-up from your hotel can be arranged. Please send us an inquiry.